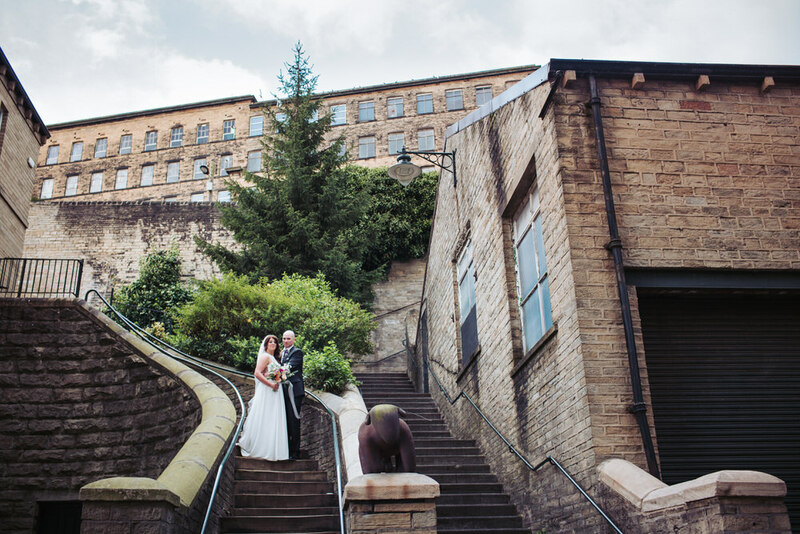 The Arches wedding venue is among the best alternative wedding venues Yorkshire has to offer, based in the magnificent building of Dean Clough Mills in Halifax. 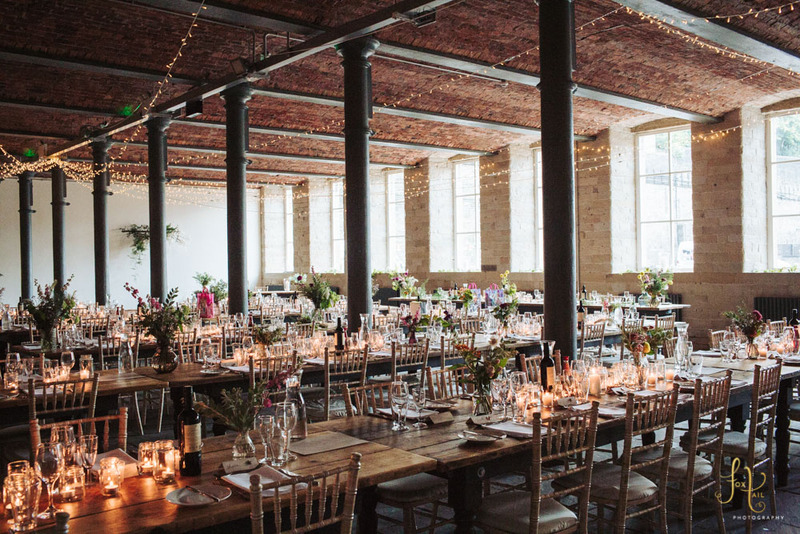 With stone flagged floors, iron pillars and an amazing brick barreled ceiling it offers bags of industrial rustic charm, not to mention the hulking Yorkshire stone mill exterior. 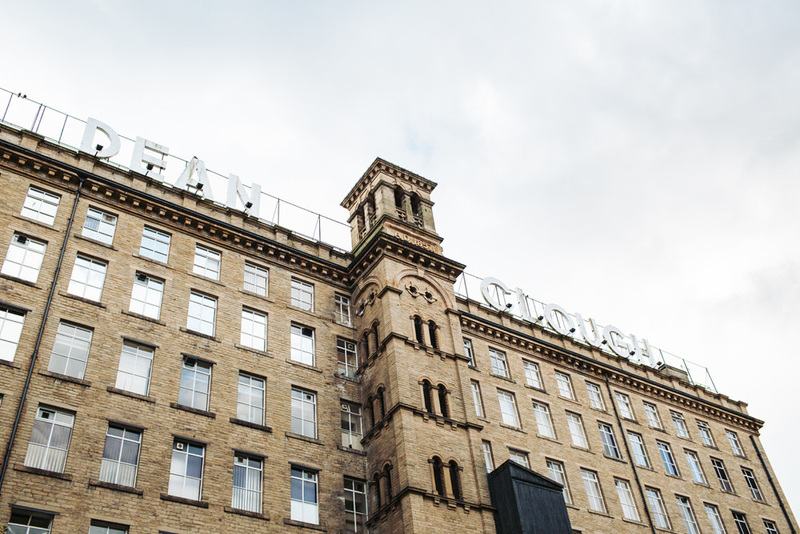 Having once been the worlds largest carpet factory, the Dean Clough Mills are a sight of monumental proportions! 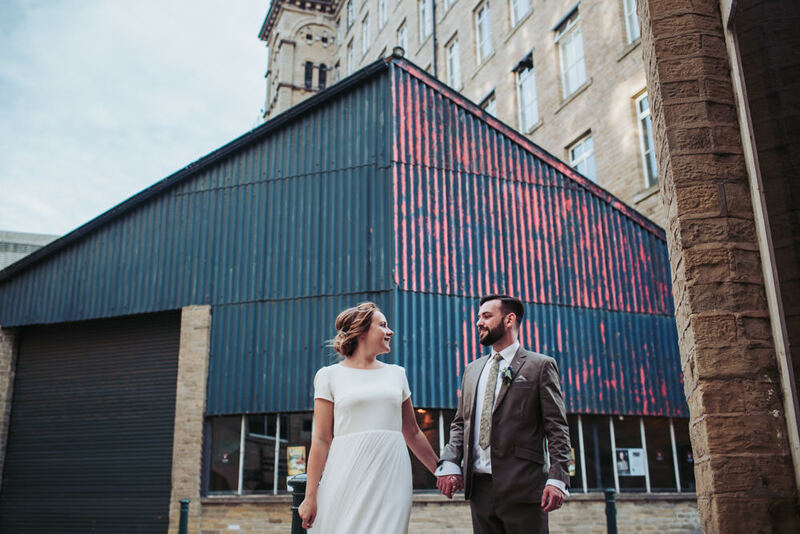 As a wedding photographer and a Yorkshire lass (born ‘n’ bred), the industrial mill backdrop was a sight I was looking forward to capturing. Katie prepared for the day ahead at her home along with her mother and bridesmaids. 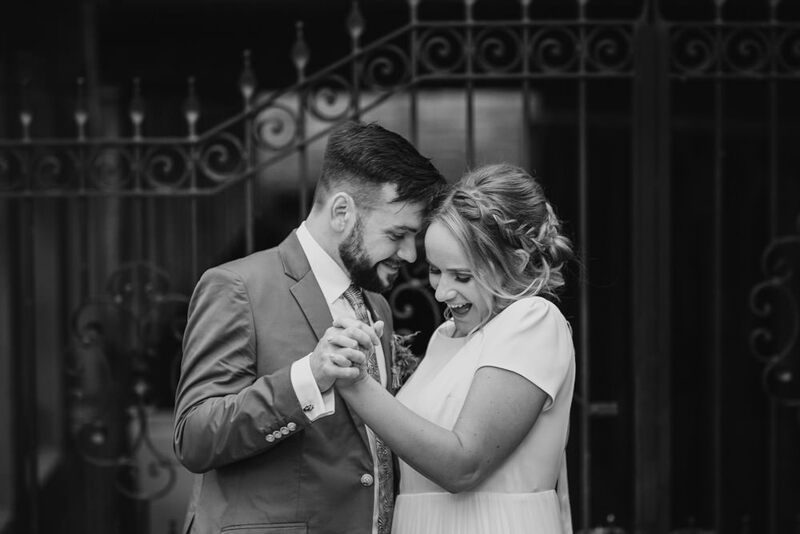 There were croissants, champagne, charm bracelets gifts bestowed and plenty of giggles. 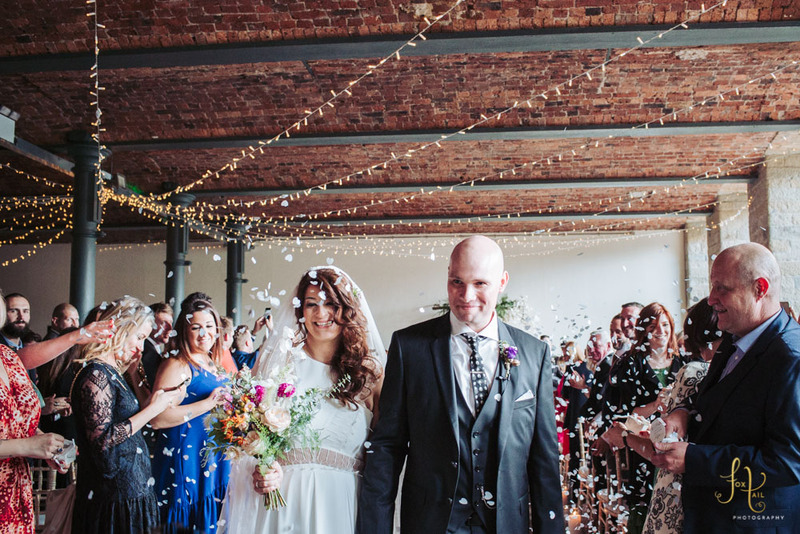 Katie’s dress was a beautiful two-piece, long elegant skirt with train and gorgeous high necked lace top. 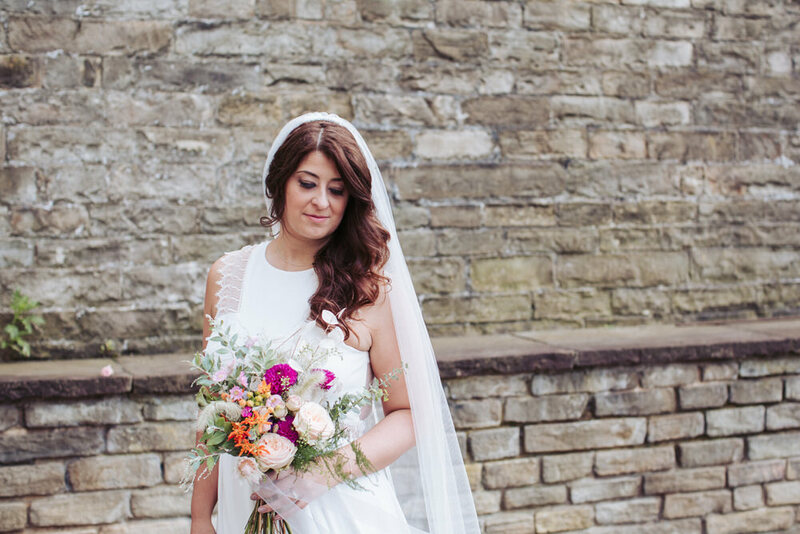 I’m sure you would agree that she made a stunning bride! 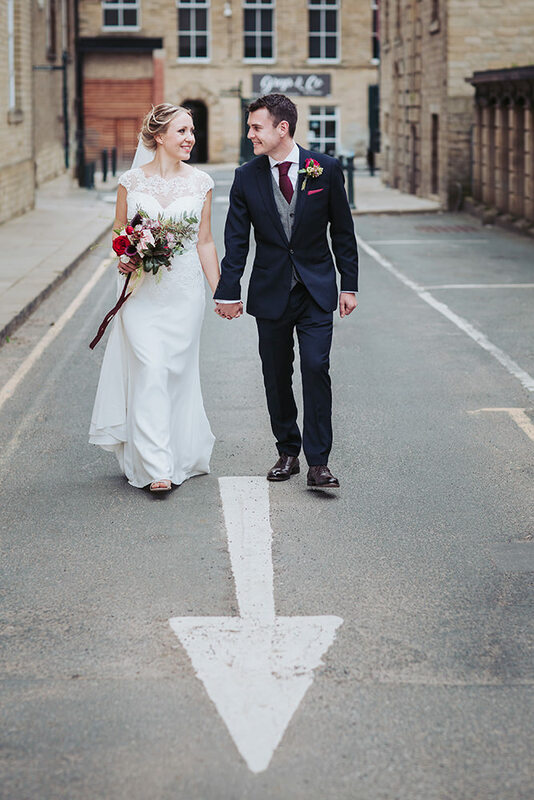 Earlier in the year I had a super fun time photographing Katie and Mark up on t’ moors. 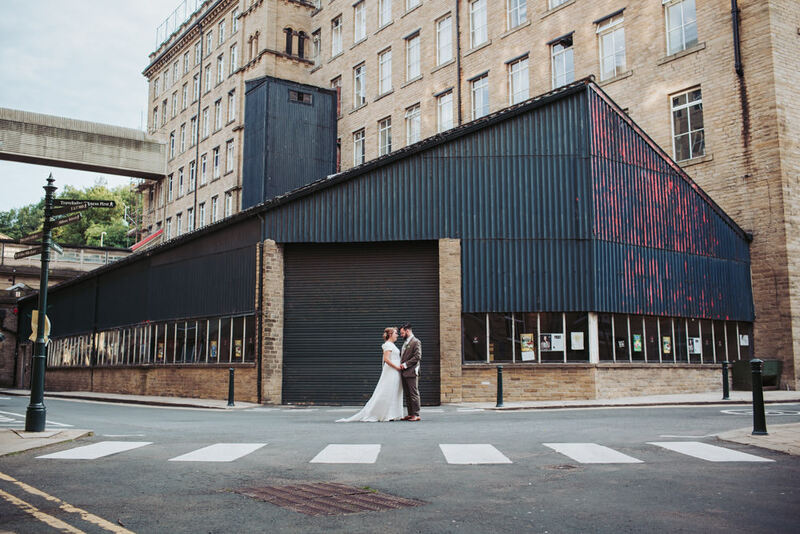 As they had managed to incorporate their love of horses and cars into their pre wedding photo shoot, I was fully expecting these themes to carry across into their big day. 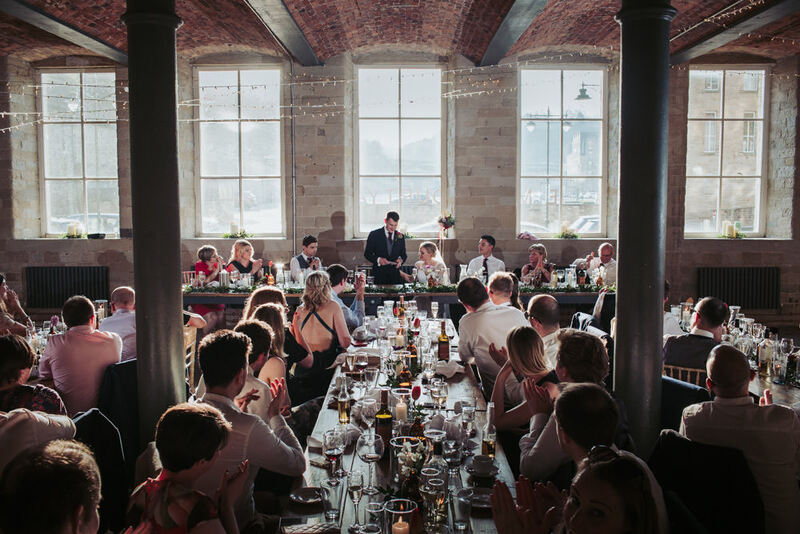 Which of course they did, with horse shoes holding the table name cards placed at each table, the names being those of racing car drivers, such as Hamilton and Senna. 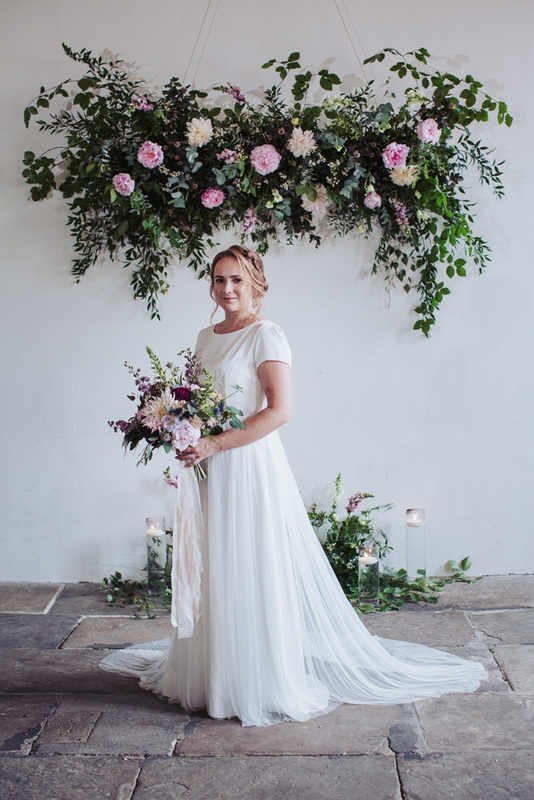 To add even more amazing to the details and décor of The Arches wedding day, Rachel of Owl House Flowers had adorned the venue with her fabulous arrangements of seasonal British cut flowers. 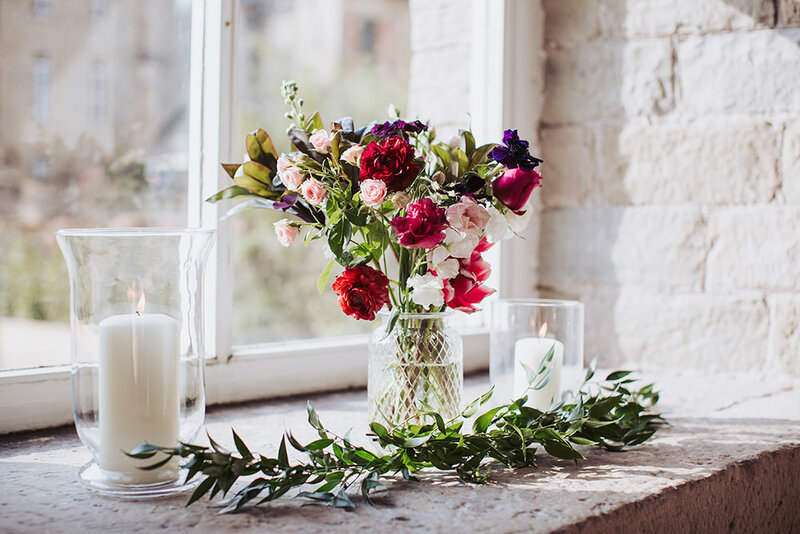 With her unique style, Rachel had added wedding romance with an eclectic mix of ivy, ferns, fresh raspberries, apple branches, roses and so much more. 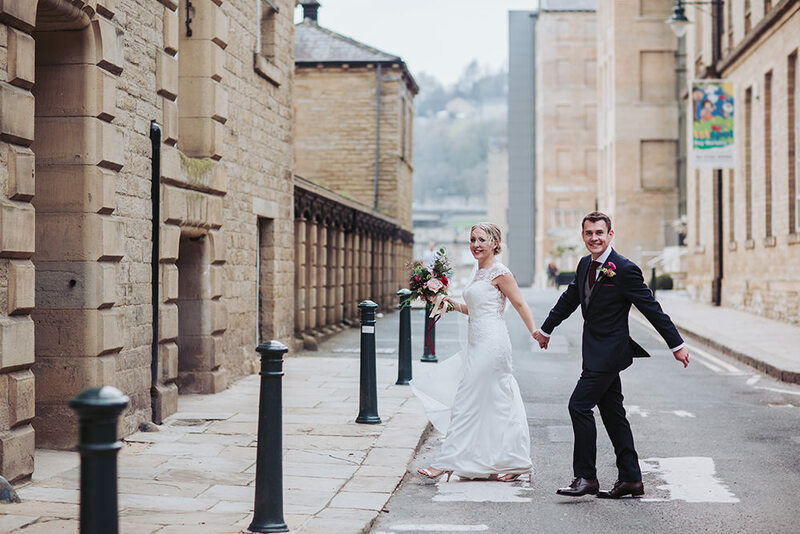 The groom was feeling ill with nerves while awaiting his bride, who nearly missed her own wedding due to heavy traffic! 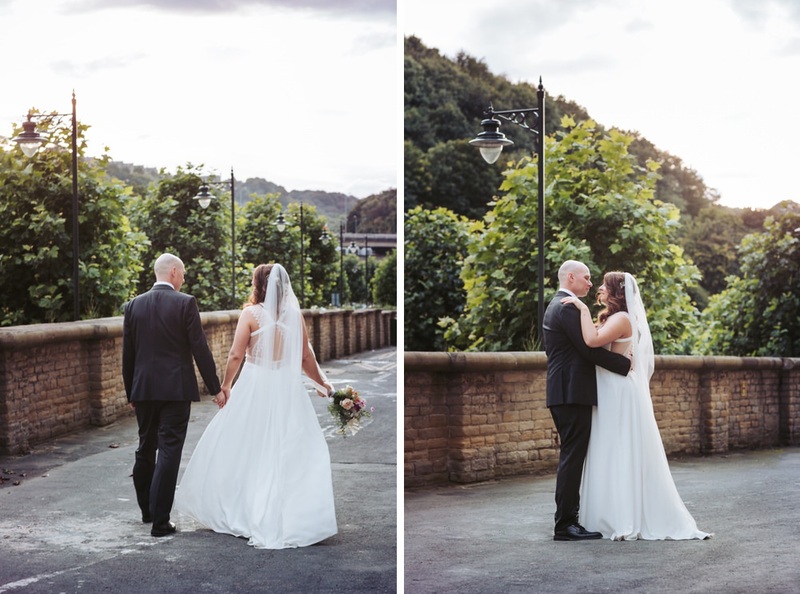 Even the sky blackening with storm clouds couldn’t dampen everyone’s spirits. 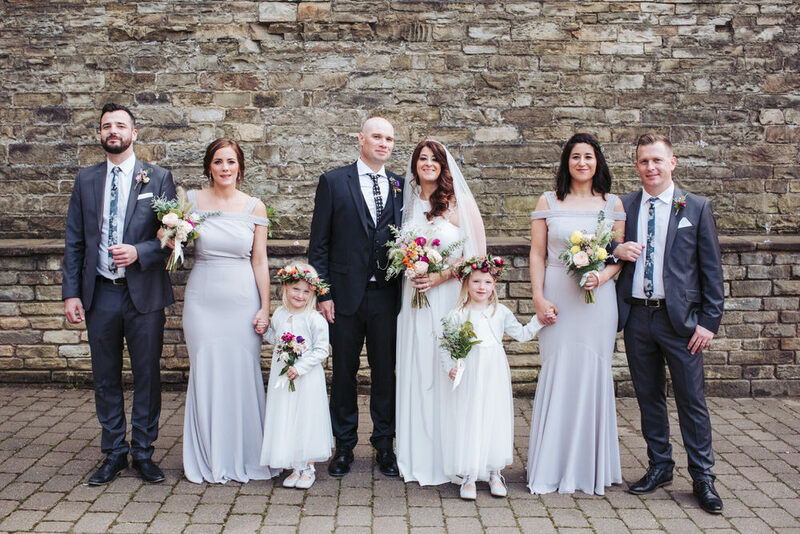 In the end, Katie and Mark tied the knot, the sun came out to shine, champagne with strawberries flowed and the day was filled with love and smiles. 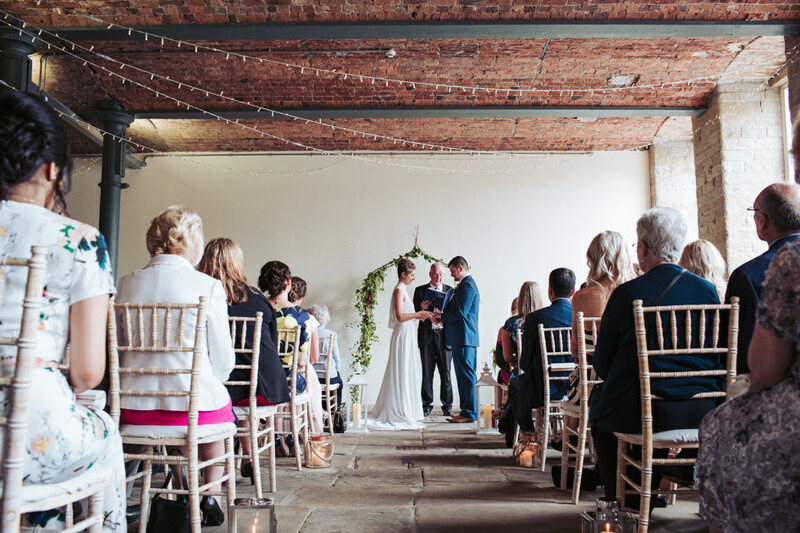 This was the first legal ceremony to be held at The Arches wedding venue and was certainly a day to remember for all. 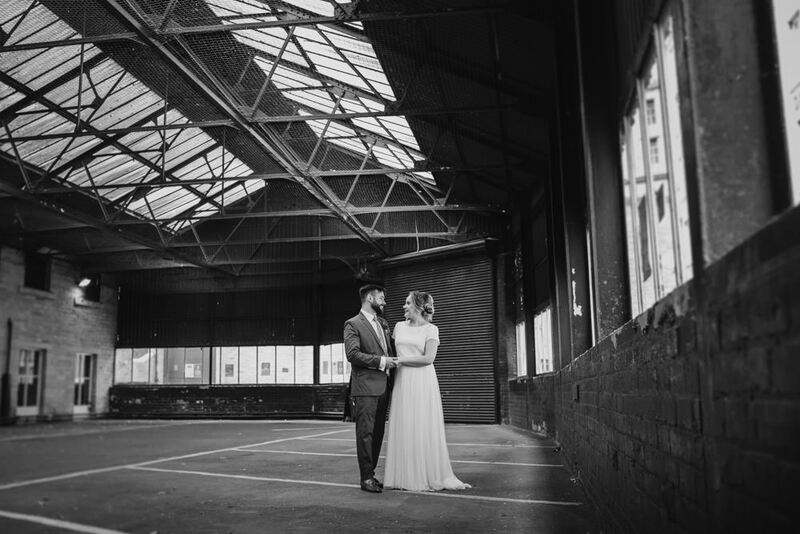 I had a smashing time photographing this gorgeous couple. 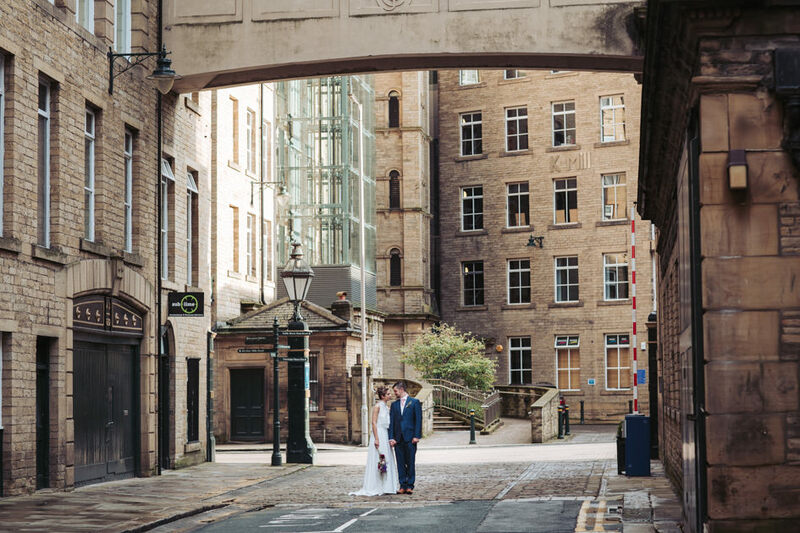 Take a look below for more Arches wedding photography. 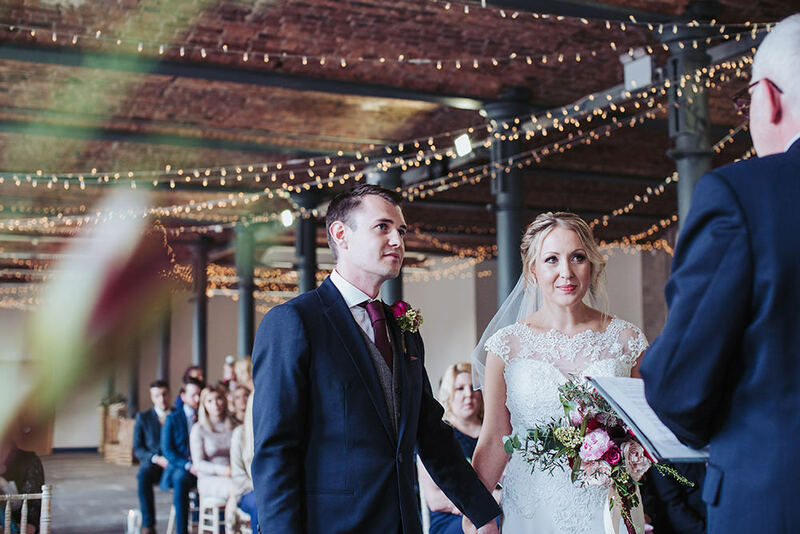 For a more recent example of a wedding at the same industrial Yorkshire mill venue, then take a look at Jenny & James’ wedding at The Arches here. 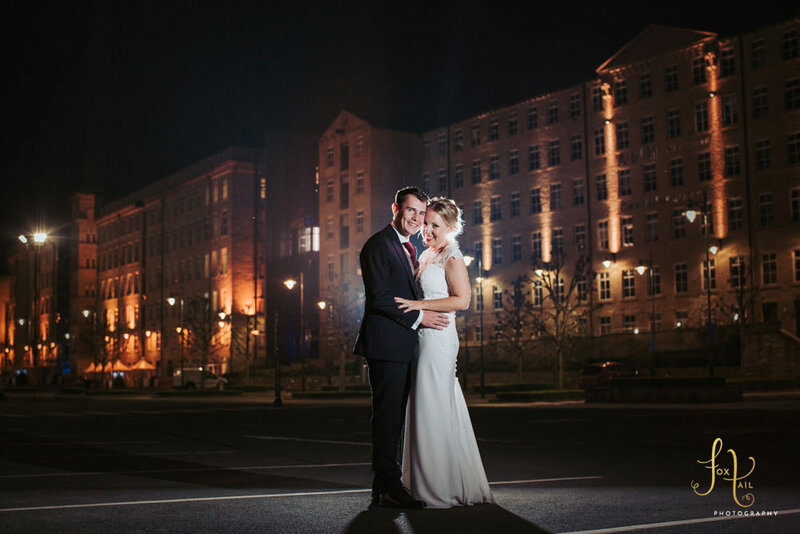 Or take a look at a Laura & Michael’s wedding highlights slideshow below. 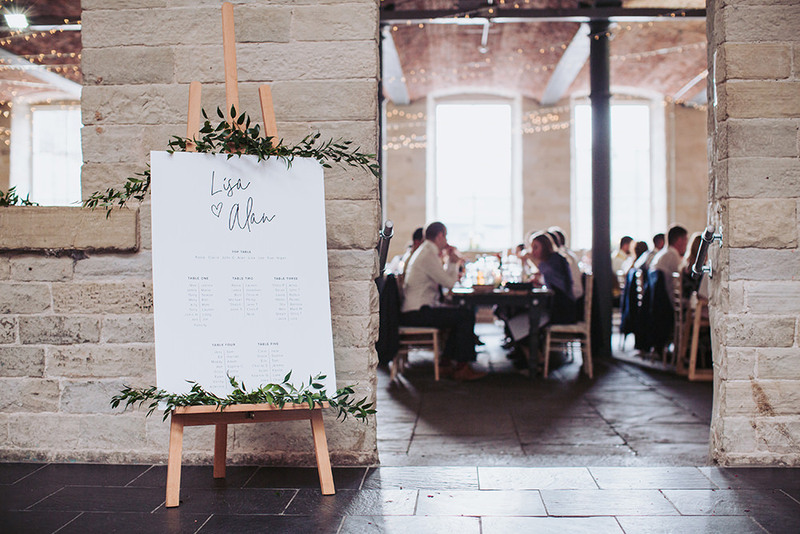 If you’re in search of an Arches wedding photographer, I would love to hear from you!